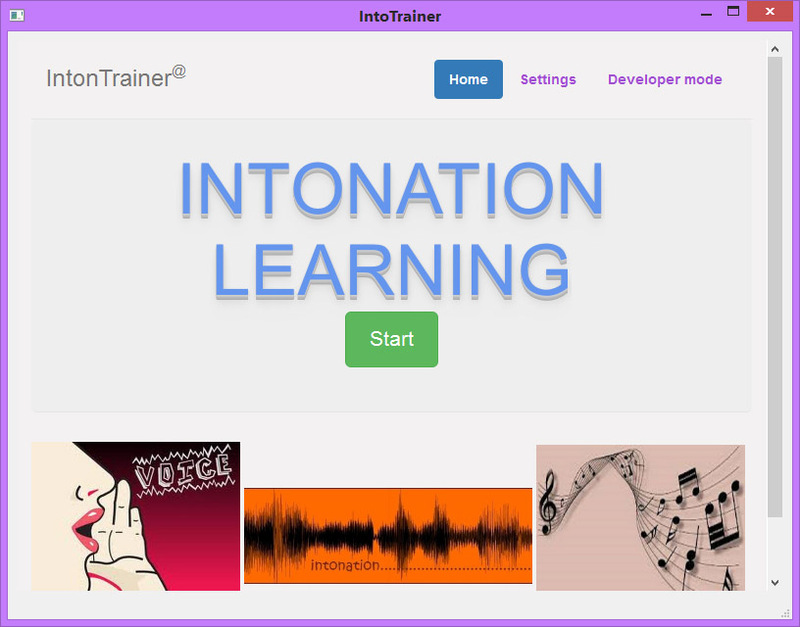 IntonTraner is a software system under OS Windows and Linux designed for learning the intonation of oral speech. The learning is based on comparing the melodic portraits of a pattern and pronounce phrase by a learner. The acoustic data base includes large set of pattern phrases which cover most intonation samples of the language. The system is based on interactive auditory and visual contacts with a learner and also provides quantitative evaluation of intonation fidelity. Currently the system is prepared for Russian and English intonation training. The localization for other languages could be easily realized by creation of proper acoustic data bases. The system could be useful for persons who would like to improve their intonation abilities in native language and also the languages of other countries. The system is based on comparing the melodic (tonal) portraits of a reference phrase and a phrase spoken by the learner and involves active learner-system interaction. The main algorithms used in the training system proposed for analyzing and comparing intonation features are considered. A set of reference sentences is given which represents the basic intonation patterns of English speech and their main varieties. A current linguistic idea is that a foreign accent is more evident and stable in intonation than in segmental sounds.